People have drawn one billion doodles in Quick, Draw! Since November 2016, people all around the world have drawn one billion doodles in Quick, Draw!, a web game where a neural network tries to recognize your drawings. That includes 2.9 million cats, 2.9 million hot dogs, and 2.9 million drawings of snowflakes. Each drawing is unique. But when you step back and look at one billion of them, the differences fade away. 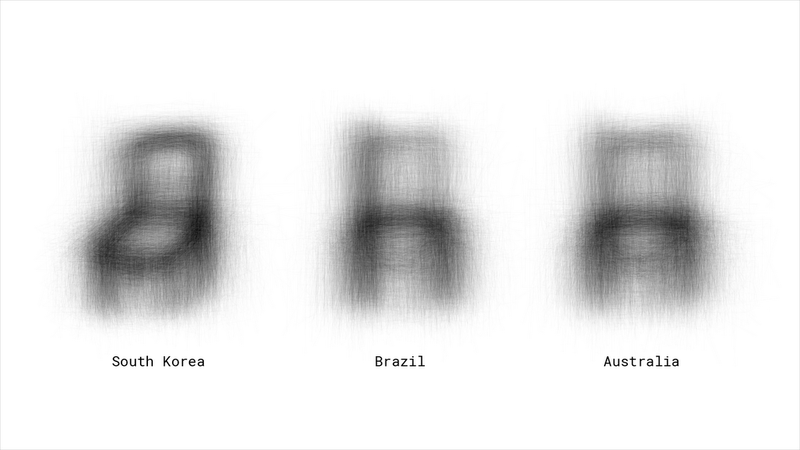 Turns out, one billion drawings can remind us of how similar we are. Take drawings people made of faces. Some have eyebrows. But when if you look at them all together and squint, you notice something interesting: Most people seem to draw faces that are smiling. 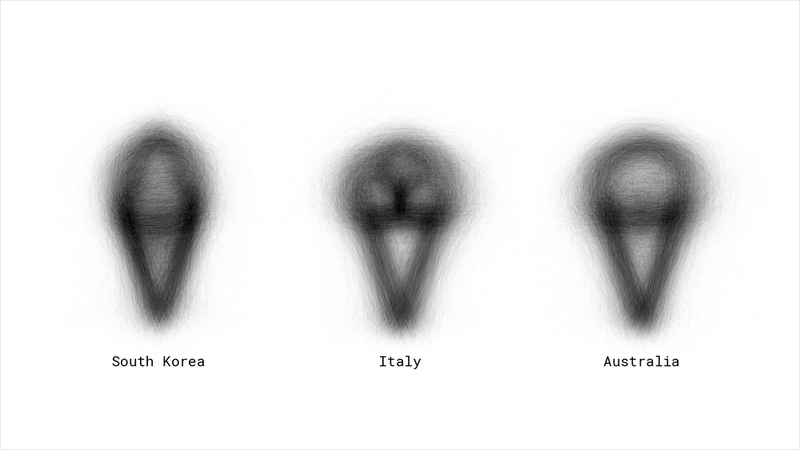 These sorts of interesting patterns emerge with lots of drawings. Like how people all over the world have trouble drawing bicycles. With some exceptions from the rare bicycle-drawing experts. Or the number of scoops you might get on an ice cream cone. And the strategy you might use to draw a star. 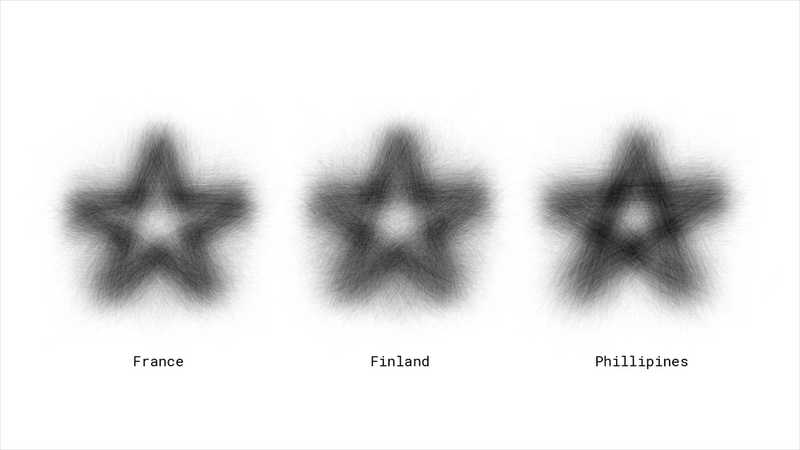 Still, no matter the drawing method, over the last 12 months, people have drawn more stars in Quick, Draw! than there are actual stars visible to the naked eye in the night sky. If there’s one thing one billion drawings has taught us, it’s that no matter who we are or where we’re from, we’re united by the fun of making silly drawings of the things around us. Quick, Draw! began as a simple way to let anyone play with machine learning. But these billions of drawings are also a valuable resource for improving machine learning. Researchers at Google have used them to train models like sketch-rnn, which lets people draw with a neural network. And the data we gathered from the game powers tools like AutoDraw, which pairs machine learning with drawings from talented artists to help everyone create anything visual, fast. There is so much we have yet to discover. 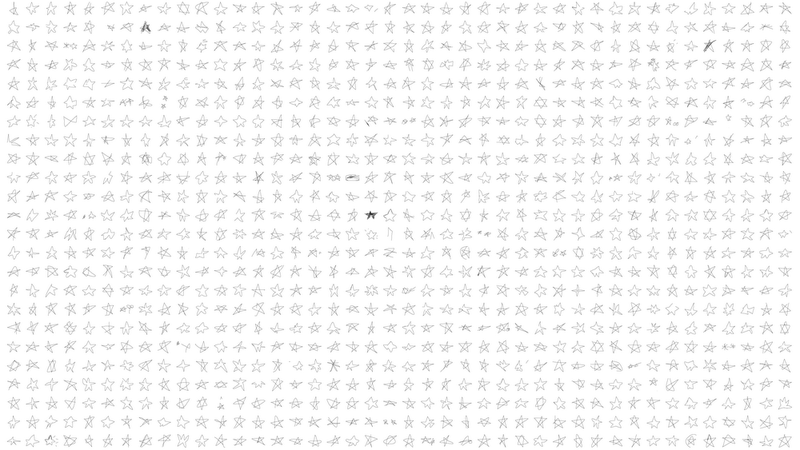 To explore a subset of the billion drawings, visit our open dataset. To learn more about how Quick, Draw! 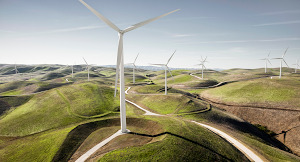 was built, read this post. And to draw your own star (or ice cream cone, or bicycle), play a round of Quick, Draw!